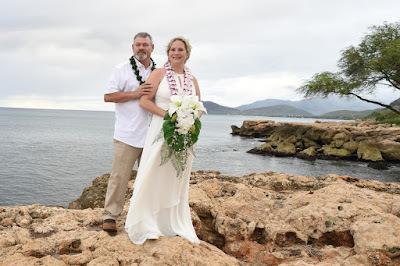 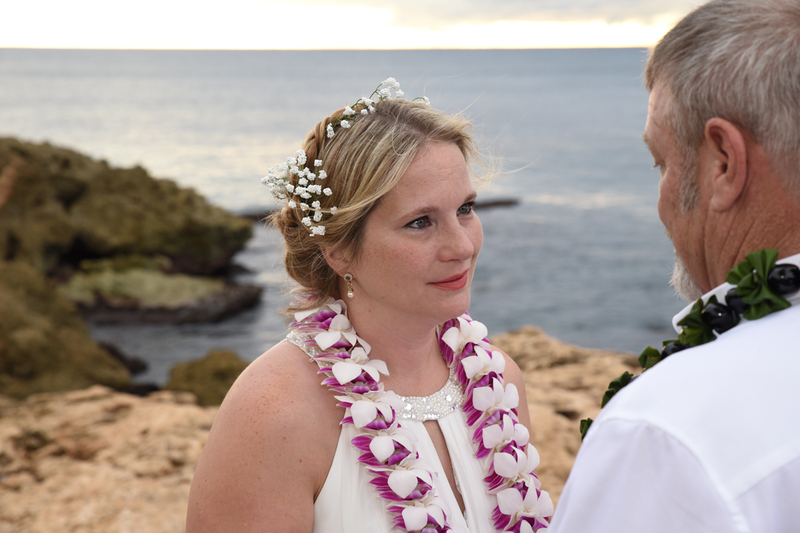 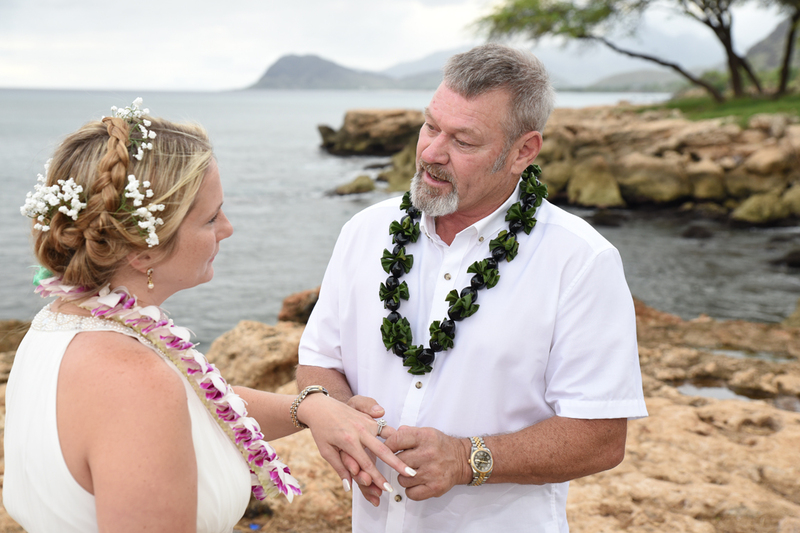 Beautiful wedding backdrop in Ko Olina with kiawe trees seen from Milo Cove. Rev. 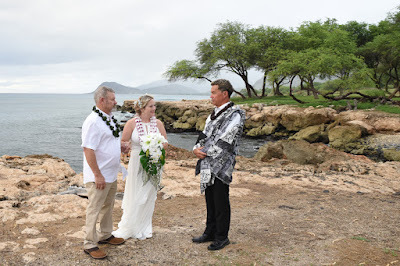 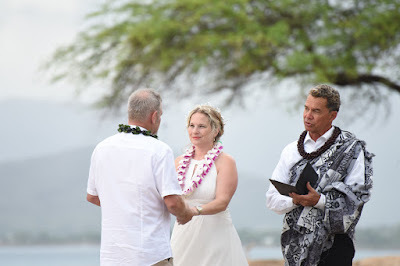 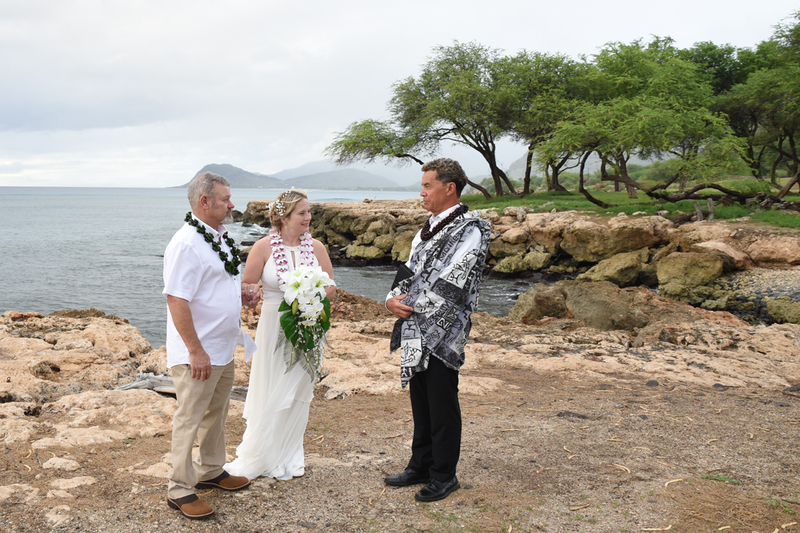 Kimo officiating for Mark and Michelle.